A survey of 500 small and medium sized manufacturers by the UK’s Manufacturing Advisory Service has revealed a growing number of companies are bringing production home in order to reduce costs. Some 26% of companies surveyed as part of the Manufacturing Advisory Services (MAS) Barometer said that concerns about the cost of offshore production has led to them “reshoring”. A desire to improve the quality of products was the second reason, cited by 20% of respondees, followed by 18% who said the move also meant they could reduce lead times. High costs drives reshoring trend. 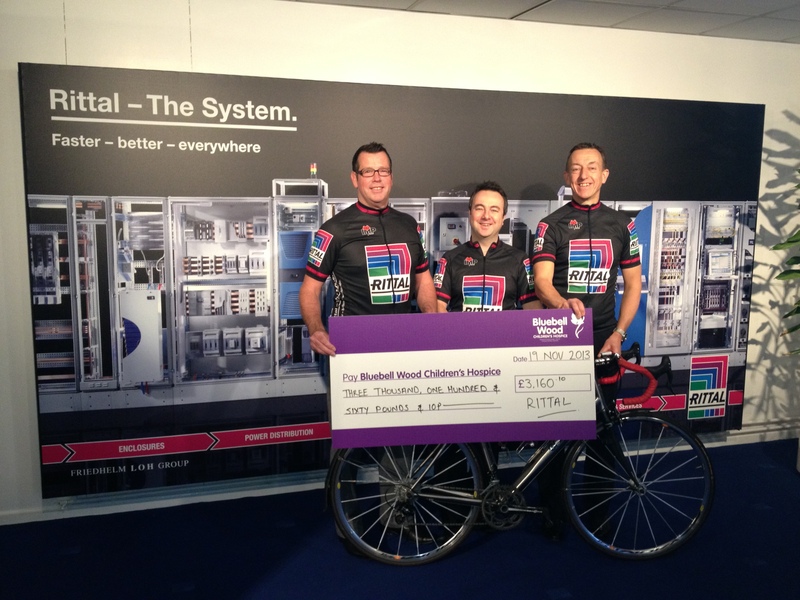 A team from Rittal have raised over £3,100 through a sponsored cycle ride from their factory in Plymouth to the company’s head office in Rotherham, in aid of a local charity, the Bluebell Wood children’s hospice in Sheffield. Taking over four days and with 340 miles completed in total, the Rittal team, Ian, Nick and Phil faced the challenge with no back up vehicle, were completely self-sufficient and carried all their own essential supplies such as clothing, food and bike tools. Bluebell Wood children’s hospice offers care and support for families with young children with a shortened life expectancy, both in their own homes and at the hospice in North Anston. They give families the chance to relax, take a break and have fun, and help to support the whole family during the remainder of the child’s life. It costs the charity over £3 million every year to offer this support and they receive less than 5% statutory government funding. The Rittal team would like to thank all those who contributed to help the charities cause. Automotive giant announces two-thirds of its new investment will focus on the development of a more efficient and environmentally friendly fleet. VW Group promises over €56bn of investment in green vehicle transition – 25 Nov 2013 – News from BusinessGreen. Interesting presentation by Dr Jonathan Kooney, research fellow of Stanford University on Predictive modelling and it’s use in helping to recapture lost capacity in data centre design. Aiming to maximise business value from computation. At data centre dynamics in London. 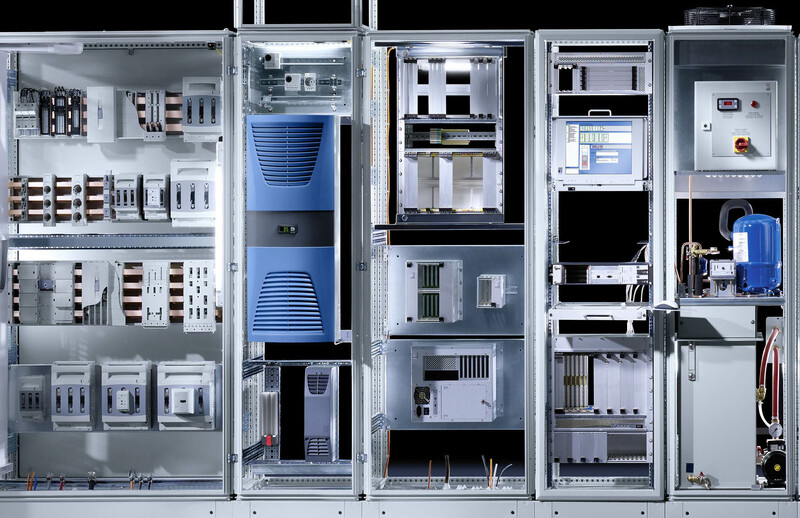 Rittal’s ISV wall mounted distribution enclosures based around Rittal‘s robust AE enclosure, offer the flexibility to assemble enclosures that will accept DIN rail mounted devices, such as miniature circuit breakers, relays, contactors and meters. To accommodate incoming protection devices there is a circuit breaker module suitable for standard moulded case circuit breakers from ABB, Eaton, Schneider Electric and Siemens, with ratings up to 630 amperes. 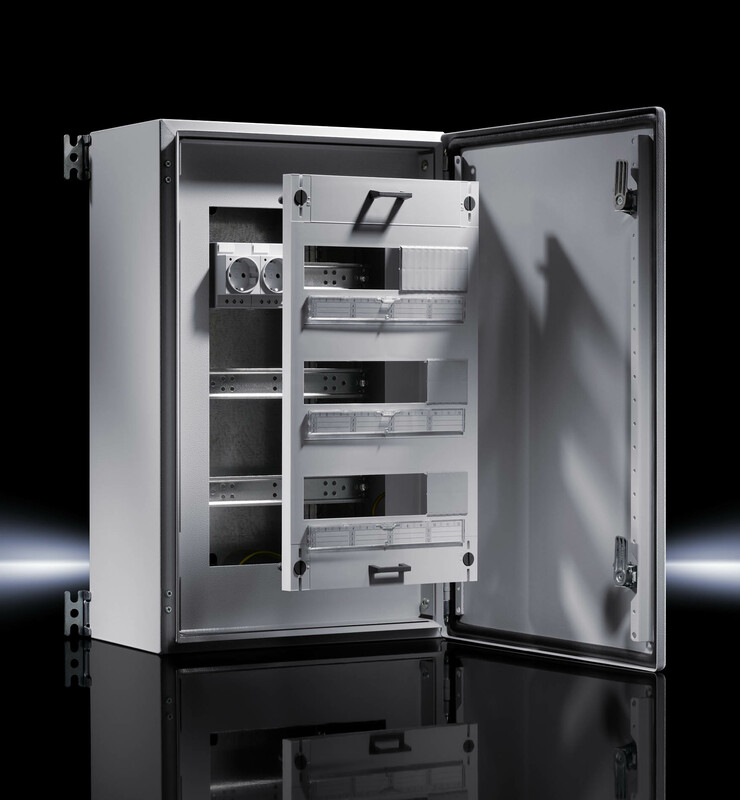 Selection of Rittal’s AE ISV enclosure, in sheet or stainless steel together with mounting kit, support rail, din rail mounted device modules and circuit breaker module is made easy by following a simple series of steps and options. Design can be achieved by using Rittal Innovation 2012 catalogue or Rittal Power Engineering Software. EIC Connect events have two key goals – to help major international companies understand UK capability and to generate networking and revenue opportunities for the UK supply chain. EIC Connect encompasses a series of Supply Chain Briefings, a Conference and Exhibition covering global opportunities and updates on nuclear new build, gas & coal fired plants and renewable energy projects. 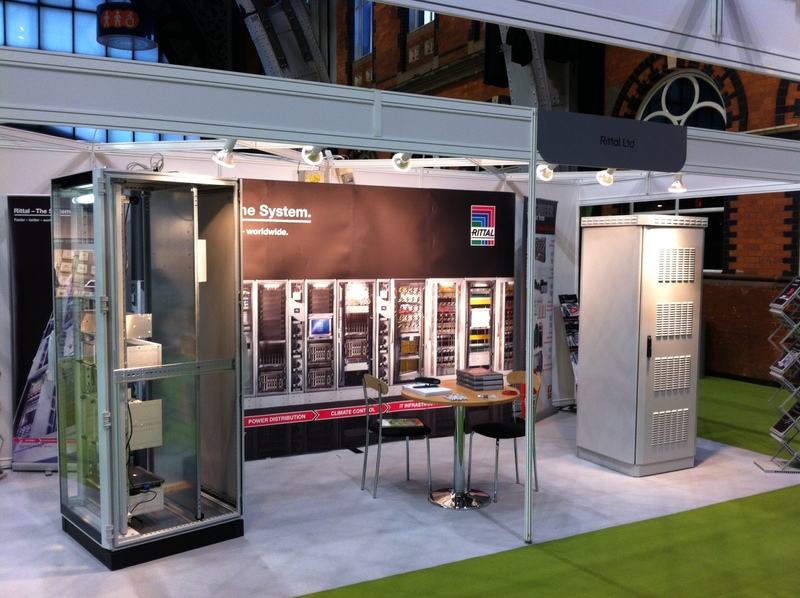 At least 400+ UK companies are expected to attend the event – Rittal was there. Rittal has produced a guide book, Standard-compliant Switchgear and Control Protection, which offers an insight into the new IEC 61439 standards and to assist Rittal customers and give guidance on how to comply with the standards. Relating to building of control panels and electrical distribution systems, the new IEC 61439 standards will be in force from November 2014 and impact upon the design of the panel, selection of components and the testing methodology. Basically, the panel will become a system, which means the designer/panel builder must consider: the enclosure, the effects of heat upon the components, cooling equipment, busbar system, mechanical properties and the generation of test documentation, which is a requirement. For further information please e-mail Mark Guest (mguest@rittal.co.uk) or for a free copy of the guide book, please use powerdistribution@rittal.co.uk. RITTAL – SAVE UP TO 10% – CDL Blog.